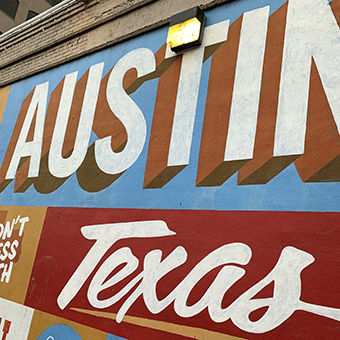 Here is our roundup of what went down at SXSW 2019. This week we'll be giving you snapshots of our first-time experiences at the best and biggest arts and media festival. I don’t consider myself a sneaker-head, but this session might just have made me one. For those who don’t know, Tinker Hatfield is a Nike legend, designer of the Air Max 1 and numerous Air Jordans. 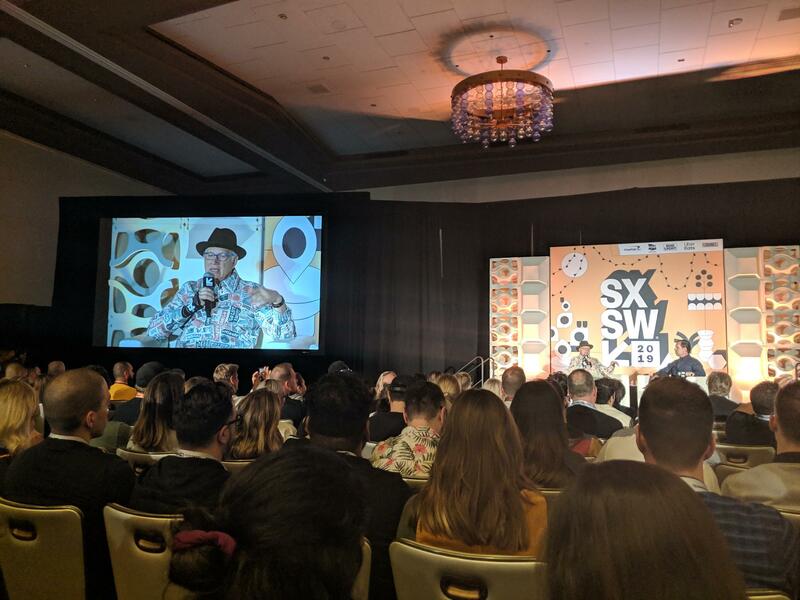 The Q&A session saw us learn more about his career, how he finds inspiration in everyday life, but mostly it was about stories- like the time he first met Michael Jordan in his basement playing table tennis, or his wife selling a valuable pair of trainers in a garage sale because he never put them away. This was also one of the rare talks where the interviewee shared some images which helped frame the conversation. 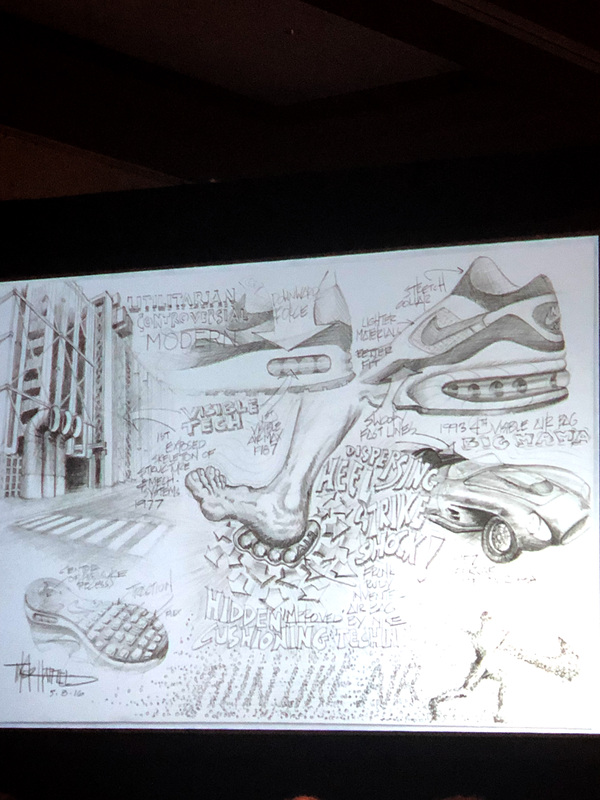 It helped showcase what it is he was talking about, like the image below, his first sketch for Nike Air inspired by the Georges Pompidou building in Paris. He also used the stage to reveal a yet unreleased new sneaker design and give away a Nike-Justin Timberlake collaboration pair of shoes. 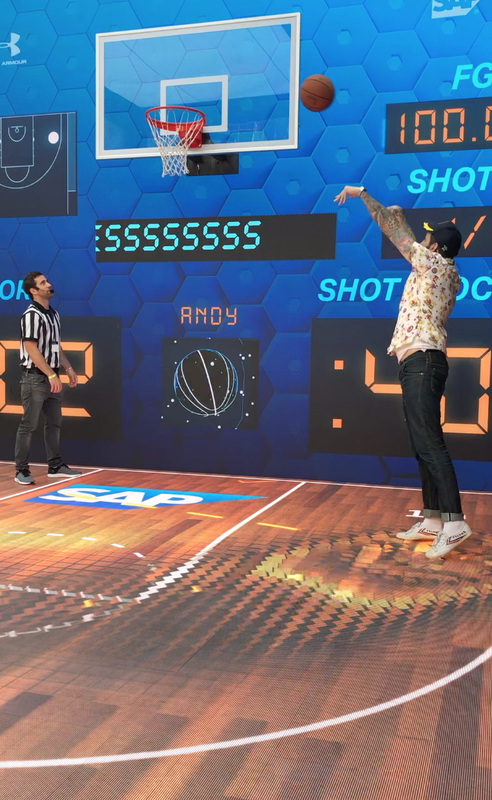 That’s the kind of stunt that tipped any sneaker-head over the edge! This session may not have given me anything tangible to bring back to the agency, but it certainly inspired me. If you haven’t watched it already, make sure to add ‘Abstract: The Art of Design’ on your Netflix list and catch a glimpse of the game-changing designer. It’s easy to sit back and listen to people talk, but it’s more fun to mix it up with a hands-on workshop. My queue patience paid off when I got a seat in the Conversational Design Sprint session led by Wally Brill (Head of Conversation Design Advocacy & Education) and Cathy Pearl (Head of Conversational Design Outreach) at Google. They presented a scaled-down version of their usual 5h workshop which covered- at great speed- persona development for voice, contextual environments, tone of voice, and multiple scenarios to design conversational exchanges. One of the key outputs I’ve taken from this workshop (and which I will use going forward) is role-playing potential conversations between Google’s Assistant and the end-user before putting any copy down on paper. Sitting back-to-back, team members had to simulate a typical conversation and it quickly became apparent that there are 4 things that you should always consider when developing a conversational flow. Focus your conversation on a very specific user goal. Quickly frame what the assistant can actually help you with rather than leaving this open to interpretation. Consider how the conversation would evolve if the user comes back again and again. For instance, the assistant should learn that the user is interested in the weather and traffic conditions and offer up that information without prompt on the 3rd or 4th time the user utters “OK Google”. Avoid dead-ends at all cost and always provide an open-ended question so the user can continue the conversation if they wish. Finally, design for voice- it’s the hardest to fulfil. If you design the flow for a text-based chatbot, you’ll have the added advantage of showing visuals. 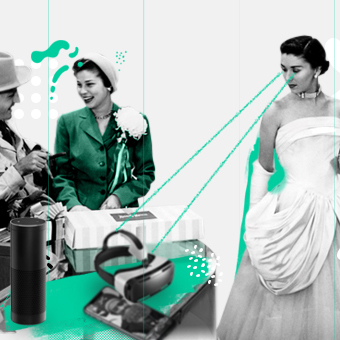 If you later want to provide a similar experience for Google or Alexa, you’ll probably need to do some significant re-engineering of your conversation flow. We also loved walking through The Daily Show Trump Tweet Library – a curated installation which brought to life every tweet that’s made the US president (in)famous. I got the chance to sit on a golden throne, wear a ‘Make America Great Again’ hat and share my made-up presidential tweet through a tweet generator. The last brand experience I want to mention is Sony’s. 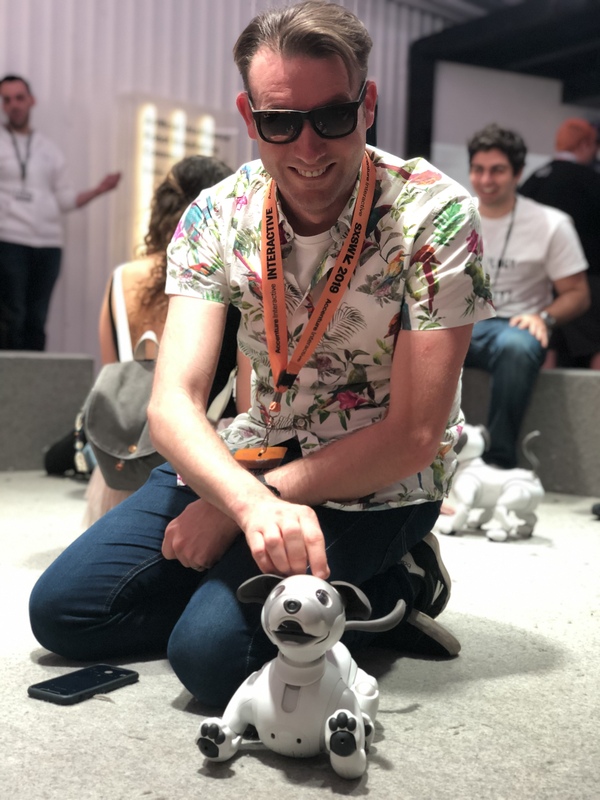 We missed out on a couple of the activities in the space, but we got to pet Robotic Dogs- and it felt great.